Goa is probably best known as India’s place to party, but this small state is packed with beauty and history. Goa has been through many changes, and each phase of its history is still engrained in its modern-day culture. India’s smallest state was once a Portuguese colony, and then it became hippie paradise in the 1960s before transitioning to a party town in the present day. Goa certainly has an interesting mix of influences that define it. Mormugao is the port where your cruise ship will dock, and whether you’d like to stay near the port or venture out, you’ll be sure to garner an appreciation for Goa’s unique history by using the India travel tips below. If you have some time in Goa, then take a trip to Old Goa, a UNESCO World Heritage Site, and experience the influence that 450 years of Portuguese rule had on the state. Old Goa is filled with grand Catholic churches that look like they belong in Europe instead of in India. Visit the Basilica of Bom Jesus, the Church of St. Francis of Assisi, and the Museum of Christian Art to understand the impact that Portugal had and continues to have on Goa. Panjim is another city in Goa worth visiting if you plan on seeing Goa by car. Go to Se Cathedral in Panjim, which is another remnant of Goa’s colonial past, and then visit Shantadurga Temple, a beautiful red Hindu temple. If you don’t have time to explore Panjim, then stay near the port and relax at one of Goa’s gorgeous beaches. Swim and sunbathe at Majorda and Velsao, which are close to Mormugao port. If you have a meal in Goa, the first thing you’ll notice is that Goan food is very spicy, and there’s a reason for that. Goa is home to spice plantations, which are open to the public. When you dock in Mormugao, it’s definitely a good idea to tour one. Dudhsagar Plantation offers tours where you can learn about spices, medicinal herbs, and Goa’s farming techniques. Make sure to buy some local products to take home with you! When you’re done with the tour and you go to eat some spicy vindaloo curry, Goa’s famous dish, you’ll understand why Goans love their spices so much. Before you get back on the ship, you’ll want a piece of Goa to take with you. Thankfully, Goa is filled with shops that sell traditional Indian souvenirs. Go shopping at Mapusa Municipal Market where you can buy fruit, fish, vegetables, spices, jewelry, pottery, carpets, and clothing. However, if you’re claustrophobic, it might be best to skip the market. Aparant Handicraft Emporia is the place to buy Indian crafts and lacquerware. Although you likely won’t be in Goa for long, you’ll leave wondering why more people don’t visit Goa. 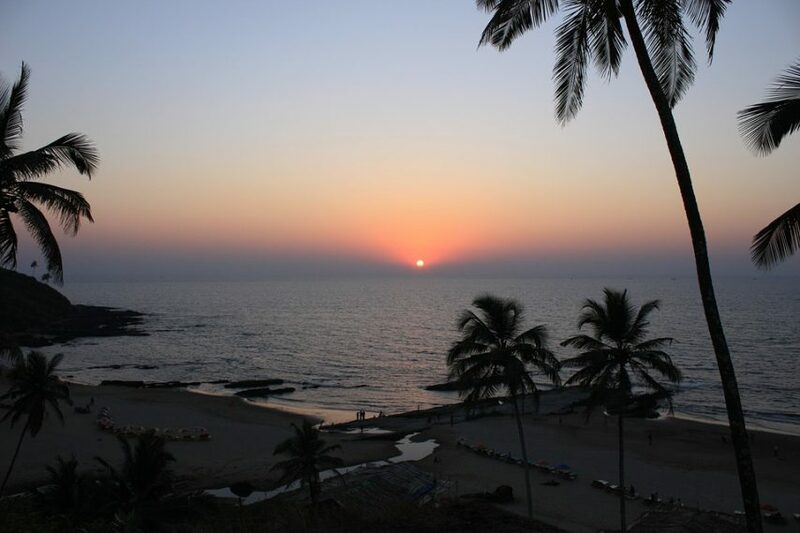 Even though it is a place for partygoers, Goa won’t make you feel as though you missed out on a real taste of India. Just exploring the streets near the port, eating curry, and buying some pottery will allow you to experience the unique culture of Goa.